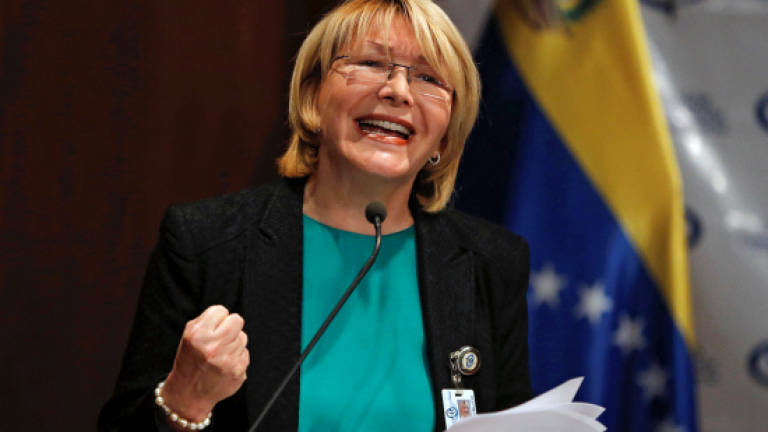 29 Jun 2017 / 10:26 H.
CARACAS: Venezuela's Supreme Court slapped an asset freeze and travel ban Wednesday on Attorney General Luisa Ortega, a top critic of President Nicolas Maduro, after she accused him of creating a climate of terror. Ortega has emerged as the most critical voice within the Venezuelan government as the authorities have cracked down on anti-Maduro protests, leaving a death toll of 77 people in just under three months. The court, which is closely aligned with the embattled president, set a hearing for July 4 to decide whether Ortega should face trial for alleged professional malpractice – charges she has branded a political witch-hunt. Until her fate is decided, the court ordered her bank accounts and assets frozen, and banned her from leaving the country. Ortega is accused of lying about whether she supported the nomination of 33 new Supreme Court judges in 2015, which the opposition condemns as blatant court-packing by Maduro. Speaking ahead of the ruling, Ortega lambasted Maduro's government. "We have state terrorism in Venezuela, where we have lost the right to protest, where demonstrations are cruelly repressed, where civilians are tried in military courts," said Ortega, 59. "We have a constitutional rupture. The constitution is being violated and the state is being dismantled," she told journalists. The condemnation came as Maduro vowed to fend off what he called a coup attempt, after a rogue police pilot allegedly dropped grenades onto the Supreme Court from a stolen helicopter. Political analysts and Maduro's opponents said they suspected the incident was a hoax. But the leftist leader branded the "terrorist attack" a failed coup backed by the United States. Oil-rich Venezuela has slid off the rails since global crude prices collapsed in 2015, devastating its economy and causing severe shortages of food, medicine and other basic necessities.